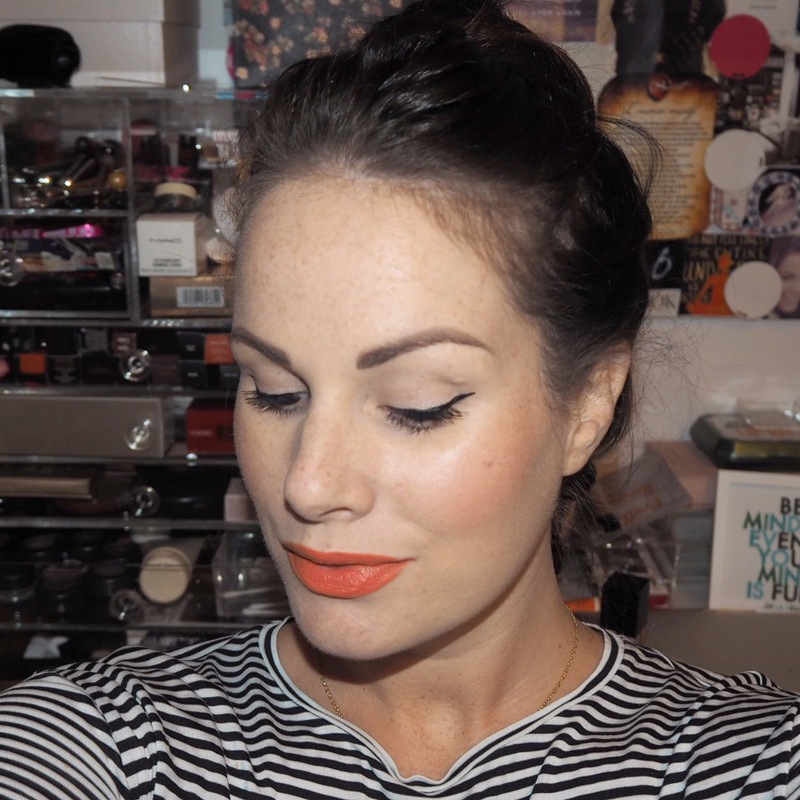 Simply Lippy Challenge Day 308 | Bourjois Rouge Velvet The Lipstick in Shade 06, Abrico’dabra! 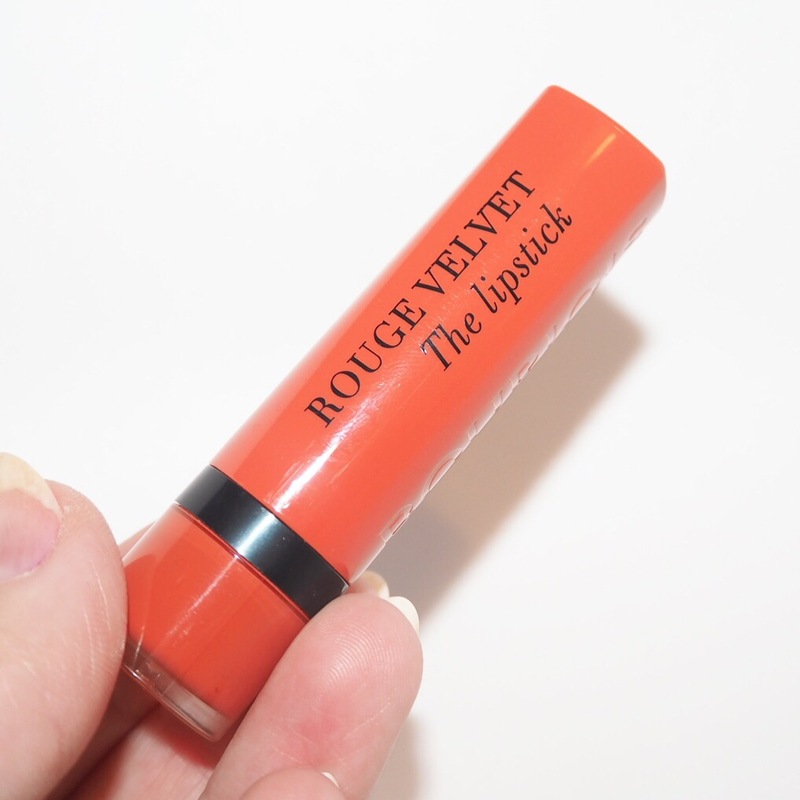 If you’re a lipstick fan, I’m sure you’ve seen this new range from Bourjois which launched last month. 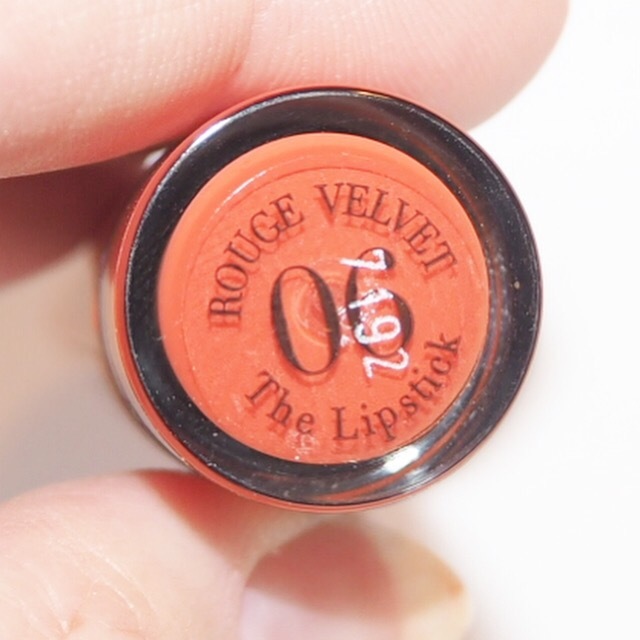 Their Rouge Velvet liquid lipstick collection has been around for quite some time, but this new lipstick version is so much better in so many ways. 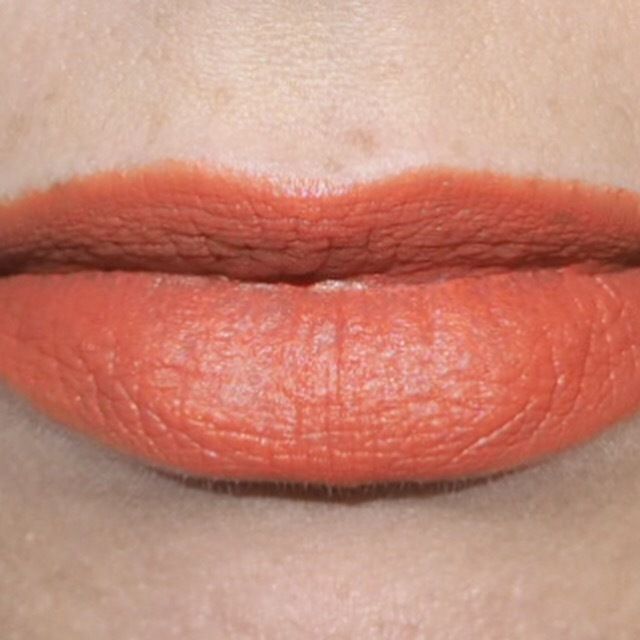 I liked the original collection don’t get me wrong, but the quality of these lipsticks is just so good. 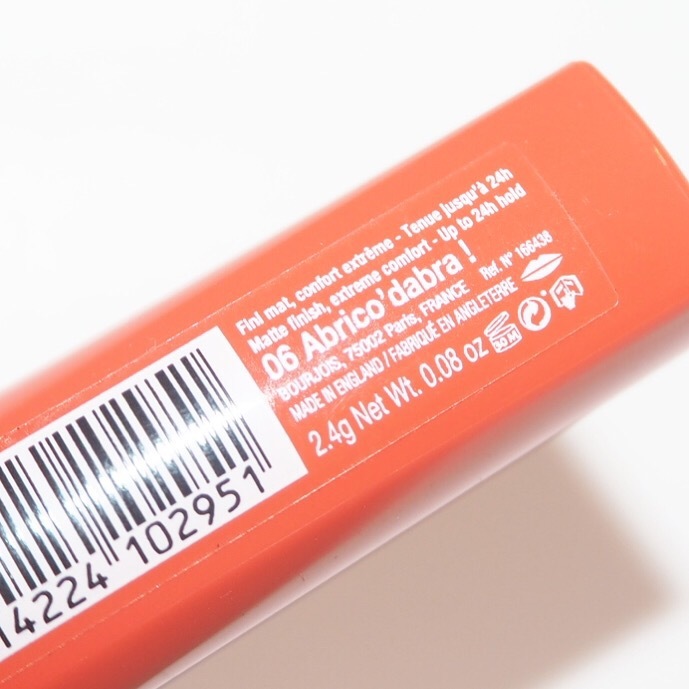 They quite literally, feel like velvet when you apply them and leave your lips feeling incredibly soft. I tried my first shade from the collection a few weeks back in a gorgeous rose shade, Hyppink Chic, and loved everything about it from the formula to the colour. And I’m very happy to say, I’m still loving the formula as much today. 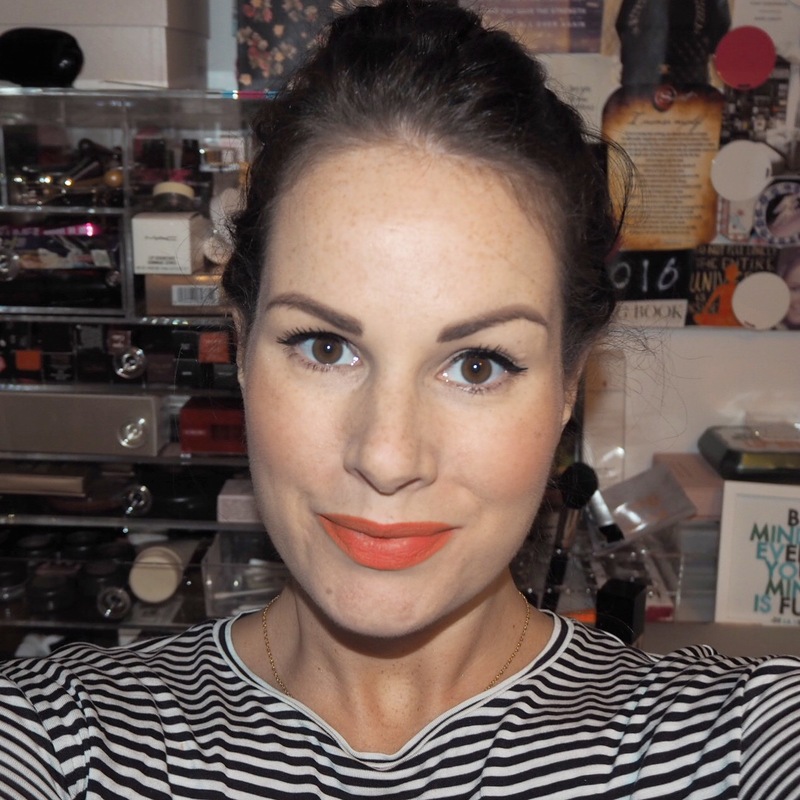 One of the best things about my challenge has been discovering new lipsticks that I love, especially when I love them even more second time around. For me, that’s a real sign that a product is a winner. 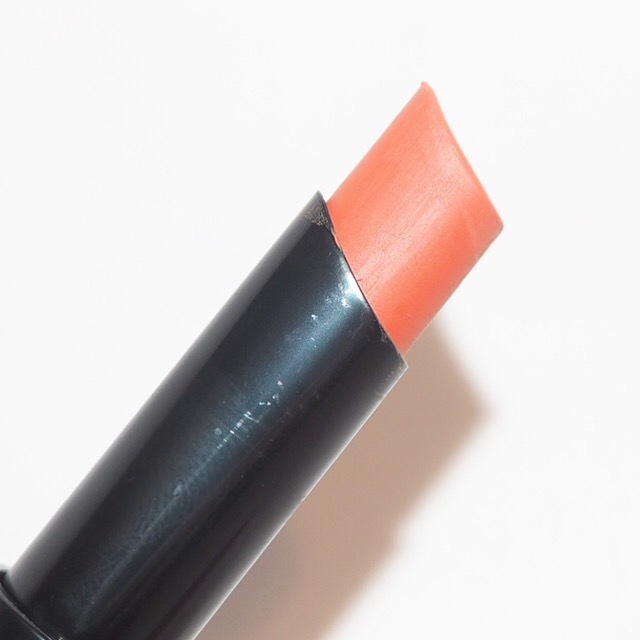 Today’s shade is a kind of muted orange coral, and while I don’t love it quite as much as the rose shade, the pigment is still very good and it has great colour pay off too. 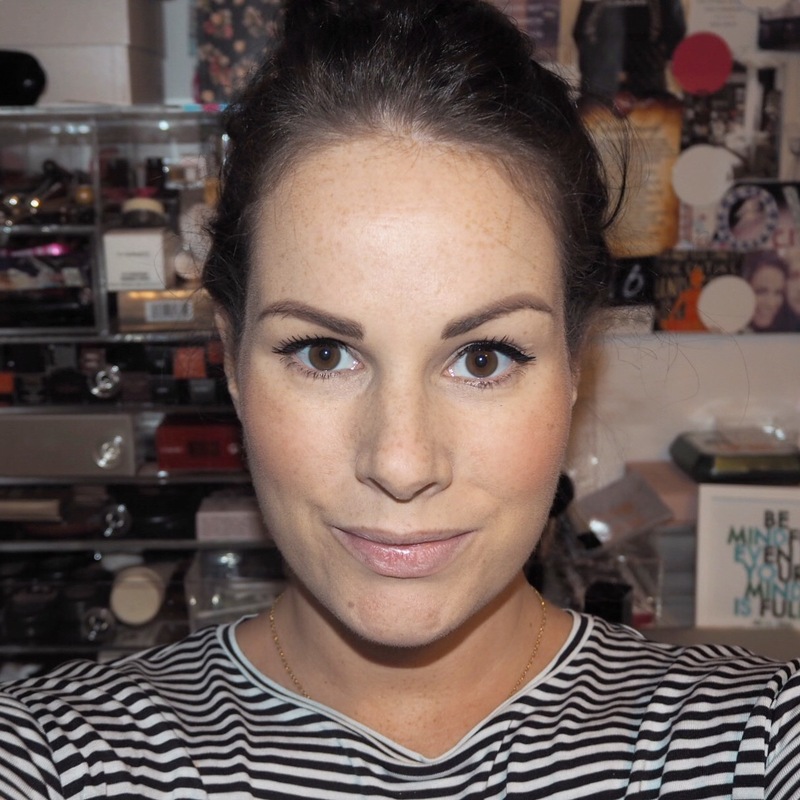 My favourite thing about it though is the formula which is very cream-like when you first apply it. 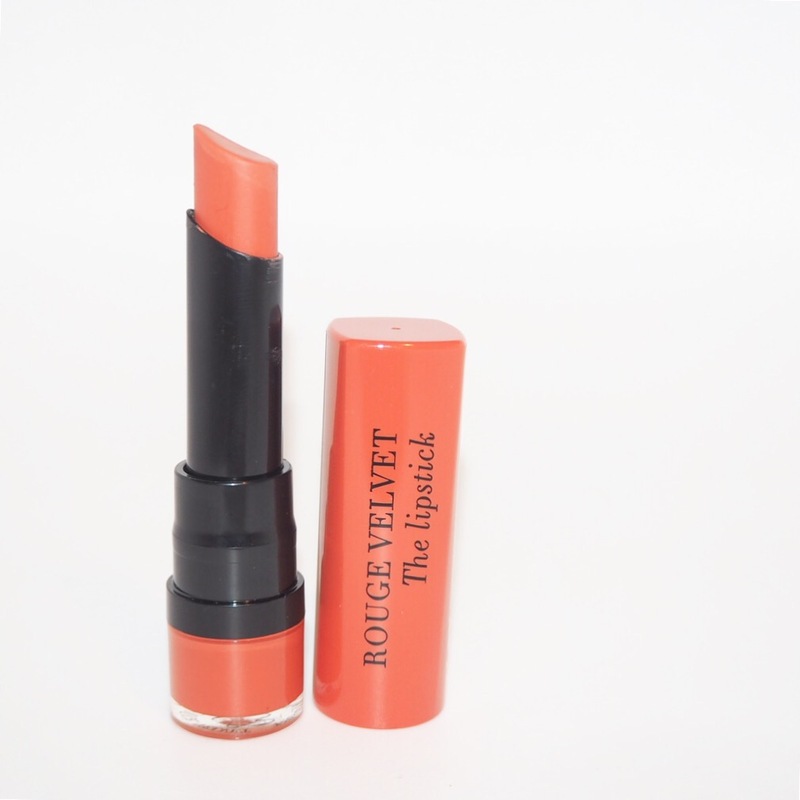 But after a few minutes, it dries in to give a soft matte finish that has really great staying power. I’d even go so far as to say, this might be one of my favourite new release collections of the year. Granted, there are still a few more shades to try, but judging by how much I like them so far, they are definitely up there in my top favourites of the challenge. Have you tried these yet? If not, I think you might just have to add one to your Christmas wish list!